US-based company BLU has announced its latest flagship device, the Pure XR. The new smartphone brings a powerful set of specs, a good looking build, and all of the features you would expect from a flagship device. The mid-range smartphone is listed at Best Buy and Amazon online stores for $300 outright. As expected, the Pure XR is fully compatible with 4G LTE networks on T-Mobile and AT&T. It is also worth noting the phone is available in both gold and grey color options. The Pure XR sports a 1080p SuperAMOLED display with Gorilla Glass 3 and 3D Touch, an octa-core MediaTek Helio P10 (6755) CPU and the Mali-T860 GPU, 64 gigabyte of internal storage, 4 gigabyte of RAM, a 16 megapixel shooter and a 8 megapixel selfie-cam, a USB Type-C port, a front-mounted fingerprint sensor, and a 3,000mAh battery, which should provide five hours of phone call talk time with a 10 min charge. If that 64 gigabyte is not enough for you, the Pure XR also has a microSD slot that supports up to a 64 gigabyte card (officially). Software-wise, the phone will ship with Android 6.0 Marshmallow. 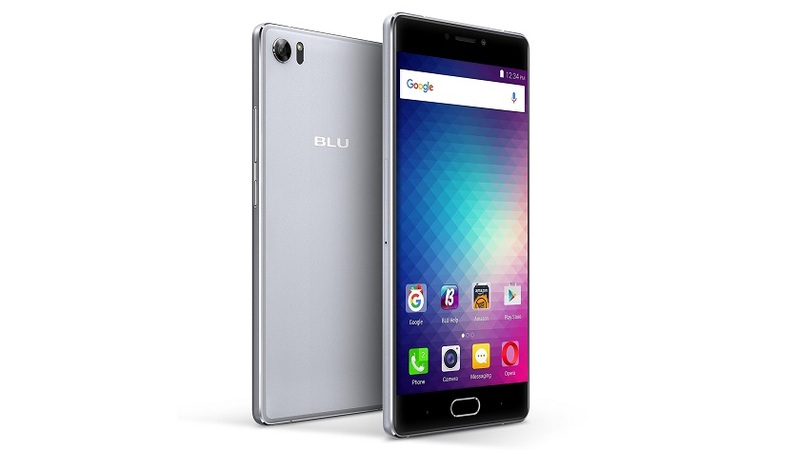 According to Blu, its newest Android smartphone is made of “high-end solid metal” and packs an ultra-fast fingerprint sensor underneath the Home button. BLU also tends to have a mixed record for software updates, though things have gotten a tad better in recent years. Still, it is hard to beat the price and for those that don’t care about brand identity and just simply want a solid performing phone without throwing down a lot of money, this one should fit the bill.